So I decided to give the site a new look. I have been playing with some fresh new looks lately and finally settled on this one. Admittedly, I have been (and still am) sacrilegiously stuck on the green color family. Yet… I have always been a true fan of the cool color range. So it was time to branch out… Mint is not a huge departure from my go-to chartreuse tones. But lately, I have been really crushing on the sorbets and mints in my wardrobe. Are you loving these new spring colors? 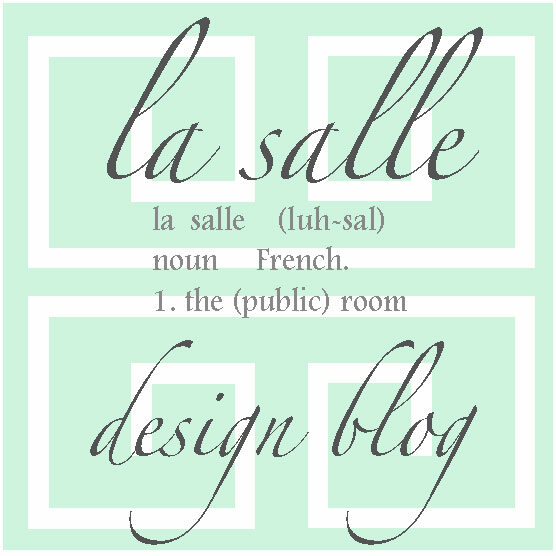 What do you think of the new look here at La Salle Design Blog? I think it looks great, refreshing! Thank you, Mrs. Debra! Hope all is well!